Let’s get right to it: First Stop Health has the highest utilization of any telemedicine company in the industry. We implement a customized telemedicine engagement plan for each of our clients. We’ll stand by our service, and our utilization rate, by offering self-funded clients a guarantee that more visits will be diverted than our service costs. Our telemedicine engagement program approach is simple; we learn about your company and its employees, and we create a customized strategy to help each employee utilize high-quality telemedicine. We don’t just leave it up to the client to implement the engagement strategy, we do it for you. It’s not just a regimented, routine brochure we disperse to every client. Your strategy will lay out exactly how we will engage, inform, and educate your employees so that your telemedicine benefit is constantly driving savings for you! All of this starts with our promise: If your company is self-funded, we guarantee that we will save you more in avoided healthcare claims than you spend on our service. We’re just that confident that your customized engagement strategy (along with our execution) will generate high utilization and make your employees feel comfortable using telemedicine. If the savings generated from avoided healthcare costs does not exceed the cost of our service, we will credit the difference and apply it to future months, or issue a refund if you choose not to renew. It’s as simple as that. We see ourselves as a service company, not an insurance company that wants to avoid claims. We want to promote a shift in the healthcare industry to a focus on the consumer: from the quality of care to the amount each of your employees pays out of pocket. 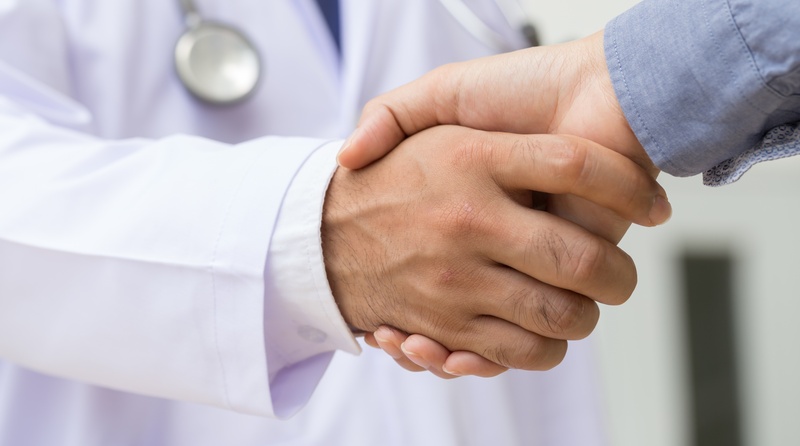 We are here to help you provide value and build trust with your employees while you also save on your increasing healthcare costs. We don’t charge extra for our telemedicine engagement campaign and execution, it is included in our price. While some other telemedicine companies give you access to engagement tools on their websites, we’re the only ones who execute it for your human resources department. We will act as the primary contact for your employees, and the task of engagement and reporting is on us––not your benefits administrators. Our telemedicine engagement strategy is a comprehensive campaign, including: onboarding, education, awareness and reinforcement. We’ll start in this order as soon as our partnership is official. Onboarding: When a new employee begins, we mail home a co-branded welcome kit with wallet and key chain cards. They also receive the printed materials they need for open enrollment packages. Your employees can begin using their telemedicine benefit at any time by calling our 888 number. Education: Each employee receives 8 multi-media touches in the first 60 days. This includes emails, which help them understand how and when to use telemedicine. From the start, they learn how they can save time and money by utilizing telemedicine. We teach them how to make it a part of their healthcare routines. They will start to understand why, how, and when to call their telemedicine physician. Awareness: Seasonal emails continue to communicate how First Stop Health can help your employees with common illnesses and injuries. Health tips help them prevent illness or injury, as well. Custom enrollment flyers and home mailings answer all their questions in the first few weeks they are enrolled––no matter which form of communication they like most. We develop a strong, real relationship with the members themselves: your human resources team doesn’t have to learn how to promote telemedicine, we do it. 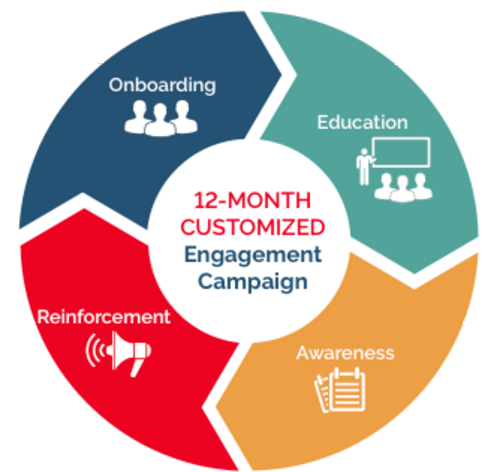 Reinforcement: While most of the “buy-in” happens for your employees in the first 60 days of enrollment, our engagement strategy doesn’t end there. Throughout the year, we engage and encourage your employees with things like periodic reminder postcards and attending health and benefits fairs. Your employees are frequently reminded of how and why to utilize your telemedicine benefit. When the next flu season rolls around, they won’t forget how much time and money telemedicine can save them when their kids get sick! Other telemedicine companies may have low PEPMs, but First Stop Health is the only telemedicine provider that guarantees you will save more on avoided healthcare costs than you will spend on our service. We work tirelessly year-round to help your employees stay healthy, happy and productive. And while the first 60 days of our engagement are crucial for onboarding and educating your staff, we don’t stop there. We’ll always be working to help you increase utilization and drive savings. To learn exactly how you can get started with telemedicine today, download our Buyer's Guide.